M. R. Foreman and F. Goudail, "On the equivalence of optimisation metrics in Stokes polarimetry" Opt. Eng. 58, 082410 (2019). Abstract : Optimization of polarimeters has historically been achieved using an assortment of performance metrics. Selection of an optimization parameter is however frequently made on an ad hoc basis. In this article we rigorously demonstrate that optimization strategies in Stokes polarimetry based on three common metrics; namely the Frobenius condition number of the instrument matrix, the determinant of the associated Gram matrix, or the equally weighted variance, are frequently formally equivalent. In particular, using each metric we derive the same set of constraints on the measurement states, correcting a previously reported proof, and show that these can be satisfied using spherical 2 designs. Discussion of scenarios in which equivalence between the metrics breaks down is also given. Our conclusions are equally applicable to optimization of the illumination states in Mueller matrix polarimetry. "On the equivalence of optimisation metrics in Stokes polarimetry"
Opt. Eng. 58, 082410 (2019). P. Török and M. R. Foreman, "Precision and informational limits in inelastic optical spectroscopy" Sci. Reps. 9, 6140 (2019). Abstract : Using Fisher information and the Cramer-Rao lower bound, we analyse fundamental precision limits in the determination of spectral parameters in inelastic optical scattering. General analytic formulae are derived which account fully for the instrument response functions of the dispersive element and potentially aberrated relay optics found in practical Raman and Brillouin spectrometers. 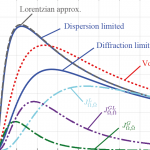 Limiting cases of dispersion and diffraction limited spectrometers, corresponding to measurement of Lorentzian and Voigt lineshapes respectively, are discussed in detail allowing optimal configurations to be identified. Finally, the effects of pixellation and a finite detector size are also considered. "Precision and informational limits in inelastic optical spectroscopy"
Sci. Reps. 9, 6140 (2019). 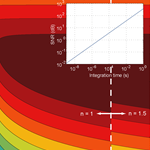 M. R. Foreman, "Field correlations in surface plasmon speckle" arXiv:1901.00681 , (2019). Abstract : In this work fluctuations in the electric field of surface plasmon polaritons undergoing random scattering on a rough metallic surface are considered. A closed form analytic expression is derived describing second order correlations in the resulting plasmon speckle pattern assuming statistically stationary and isotropic roughness. Behaviour of the three-dimensional degree of cross polarisation and spectral degree of coherence are also discussed. Expressions derived take full account of dissipation in the metal with non-universal behaviour exhibited within the correlation length of the surface and source fields. "Field correlations in surface plasmon speckle"
N. T. Urban, M. R. Foreman, S. W. Hell and Y. Sivan, "Nanoparticle-assisted STED nanoscopy with gold nano-spheres" ACS Photon. 5, 2574-2583 (2018). Abstract : We demonstrate stimulated emission depletion (STED) microscopy with 20 nm gold nanospheres coated by fluorescent silica. Compared with previous demonstrations of STED with a hybrid plasmonic fluorescent label, the current implementation offers a substantially smaller label and a better resolution improvement of up to 2.5-fold beyond the diffraction limit. This is achieved at approximately 2 times lower intensity than conventional STED and in an aqueous environment, thus, demonstrating the relevance to bio-imaging. Finally, we also show, for the first time in this context, a 3-fold reduction in the rate of photobleaching compared to standard STED, thus, enabling brighter images. "Nanoparticle-assisted STED nanoscopy with gold nano-spheres"
ACS Photon. 5, 2574-2583 (2018). S. Arnold, D. Keng, E. Treasurer and M. R. Foreman, How Latitude Location on a Micro-World Enables Real-Time Nanoparticle Sizing (Springer, 2017). Abstract : We have devised a method for using the nanoparticle induced frequency shift of whispering gallery modes (WGMs) in a microspheroid for the accurate determination of the nanoparticle size in real time. Before the introduction of this technique, size determination from the mode shift could only be obtained statistically based on the assumption that the largest perturbation occurs for binding at the equator. Determining the latitude of the binding event using two polar WGMs results in an analytic method for size determination using a single binding event. The analysis proceeds by incorporating the binding latitude into the Reactive Sensing Principle (RSP), itself containing a shape dependent form factor found using the Born approximation. By comparing this theory with experiments we find that our theoretical approach is more accurate than point dipole theory even though the optical size (circumference/wavelength) is considerably less than one. M. R. Foreman, D. Keng, E. Treasurer, J. R. Lopez and S. Arnold, "Whispering gallery mode single nano-particle detection and sizing: the validity of the dipole approximation" Opt. Lett. 42, 963-966 (2017). Abstract : Interactions between whispering gallery modes (WGMs) and small nanoparticles are commonly modelled by treating the particle as a point dipole scatterer. This approach is assumed to be accurate as long as the nanoparticle radius, a, is small compared to the WGM wavelength λ. In this article, however, we show that the large field gradients associated with the evanescent decay of a WGM causes the dipole theory to significantly underestimate the interaction strength, and hence induced WGM resonance shift, even for particles as small as a∼λ/10. To mitigate this issue we employ a renormalized Born approximation to more accurately determine nanoparticle induced resonance shifts and hence enable improved particle sizing. The domain of validity of this approximation is investigated and supporting experimental results are presented. "Whispering gallery mode single nano-particle detection and sizing: the validity of the dipole approximation"
Opt. Lett. 42, 963-966 (2017). F. Sedlmeir, M. R. Foreman, U. Vogl, R. Zeltner, G. Schunk, D. Strekalov, C. Marquardt, G. Leuchs and H. G. L. Schwefel, "Polarization-selective out-coupling of whispering gallery modes" Phys. Rev. Applied 7, 024029 (2017). Abstract : Whispering gallery mode (WGM) resonators are an important building block for linear, nonlinear and quantum optical experiments. In such experiments, independent control of coupling rates to different modes can lead to improved conversion efficiencies and greater flexibility in generation of non-classical states based on parametric down conversion. 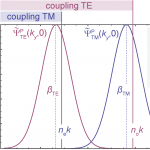 In this work, we introduce a scheme which enables selective out-coupling of WGMs belonging to a specific polarization family, while the orthogonally polarized modes remain largely unperturbed. Our technique utilizes material birefringence in both the resonator and coupler such that a negative (positive) birefringence allows selective coupling to TE (TM) polarized WGMs. We formulate a new coupling condition suitable for describing the case where the refractive indices of the resonator and the coupler are almost the same, from which we derive the criterion for polarization-selective coupling. We experimentally demonstrate our proposed method using a lithium niobate disk resonator coupled to a lithium niobate prism, where we show a 22dB suppression of coupling to TM modes relative to TE modes. 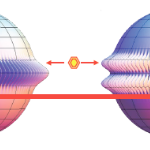 "Polarization-selective out-coupling of whispering gallery modes"
Phys. Rev. Applied 7, 024029 (2017). M. R. Foreman, "Whispers of absorption" Nat. Photon. 10, 755-757 (2016). Abstract : The combination of whispering-gallery-mode sensing with photothermal absorption spectroscopy promises significant advances in single-molecule identification. Nat. Photon. 10, 755-757 (2016). M. R. Foreman, F. Sedlmeir, H. G. L. Schwefel and G. Leuchs, "Dielectric tuning and coupling of whispering gallery modes using an anisotropic prism" J. Opt. Soc. Am. B 33, 2177-2195 (2016). Abstract : Optical whispering gallery mode (WGM) resonators are a powerful and versatile tool used in many branches of science. Fine tuning of the central frequency and line width of individual resonances is however desirable in a number of applications including frequency conversion, optical communications and efficient light-matter coupling. To this end we present a detailed theoretical analysis of dielectric tuning of whispering gallery modes (WGMs) supported in axisymmetric resonators. Using the Bethe-Schwinger equation and adopting an angular spectrum field representation we study the resonance shift and mode broadening of high Q WGMs when a planar dielectric substrate is brought close to the resonator. Particular focus is given to use of a uniaxial substrate with an arbitrarily aligned optic axis. Competing red and blue resonance shifts (~30 MHz), deriving from generation of a near field material polarisation and back action from the radiation continuum respectively, are found. Anomalous resonance shifts can hence be observed depending on the substrate material, whereas mode broadening on the order of ~50 MHz can also be realised. Furthermore, polarisation selective coupling with extinction ratios of > 10^4 can be achieved when the resonator and substrate are of the same composition and their optic axes are chosen correctly. Double refraction and properties of out-coupled beams are also discussed. "Dielectric tuning and coupling of whispering gallery modes using an anisotropic prism"
J. Opt. Soc. Am. B 33, 2177-2195 (2016). W. T. Chen, P. Török, M. R. Foreman, C. Y. Liao, W.-Y. Tsai, P. R. Wu and D. P. Tsai, "Integrated plasmonic metasurfaces for spectropolarimetry" Nanotechnology 27, 224002 (2016). 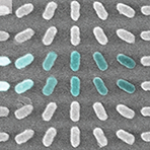 Abstract : Plasmonic metasurfaces, i.e. nano-structured thin metallic films, are promising candidates for development of compact nanoscale photonic devices, since they afford simultaneous control over the phase, momentum, amplitude and polarization of incident light. Integration of multiple metasurfaces affords optical functionality unrealisable with conventional planar photonic devices. In this work we demonstrate the principle of an integrated plasmonic metasurface (IPM) device by designing a spectropolarimeter that diffracts light with given polarization states into well-defined spatial domains. By capturing the diffracted light, the polarization state of the incident light can be fully determined using a single IPM avoiding the need for many optical components. The dispersive nature of the device provides simultaneous access to both polarization and spectral information. Our proposed IPM is robust, compact and fully compatible with todays semiconductor manufacturing technology, promising many applications in polarization imaging, quantum communication and quantitative sensing. "Integrated plasmonic metasurfaces for spectropolarimetry"
M. R. Foreman, A. Favaro and A. Aiello, "Optimal frames for polarization state reconstruction" Phys. Rev. Lett. 115, 263901 (2015). Abstract : Complete determination of the polarization state of light requires at least four distinct projective measurements of the associated Stokes vector. Stability of state reconstruction, however, hinges on the condition number κ of the corresponding instrument matrix. Optimization of redundant measurement frames with an arbitrary number of analysis states, m, is considered in this Letter in the sense of minimization of κ. The minimum achievable κ is analytically found and shown to be independent of m, except for m=5 where this minimum is unachievable. Distribution of the optimal analysis states over the Poincaré sphere is found to be described by spherical 2-designs, including the Platonic solids as special cases. Higher order polarisation properties also play a key role in nonlinear, stochastic and quantum processes. Optimal measurement schemes for nonlinear measurands of degree t are hence also considered and found to correspond to spherical 2t-designs, thereby constituting a generalization of the concept of mutually unbiased bases. "Optimal frames for polarization state reconstruction"
Phys. Rev. Lett. 115, 263901 (2015). E. Kim, M. R. Foreman, M. D. Baaske and F. Vollmer, "Thermal characterisation of (bio)polymers with a temperature-stabilised whispering gallery mode microsensor" Appl. Phys. Lett. 106, 161101 (2015). Abstract : In this work, we theoretically and experimentally investigate the thermal response of whispering gallery mode microresonators operating in an aqueous glycerol medium. Thermal stabilisation of the resonance wavelength is realised by appropriate choice of the resonator radius and glycerol concentration, with a 60 fold reduction in thermal sensitivity demonstrated. Finally, we employ our stabilised system to determine the thermal dependence of the molecular polarisability of adsorbed bovine serum albumin molecules and the refractive index of dextran and poly(diallyldimethylammonium chloride) coatings. "Thermal characterisation of (bio)polymers with a temperature-stabilised whispering gallery mode microsensor"
Appl. Phys. Lett. 106, 161101 (2015). M. R. Foreman and F. Vollmer, "Optical tracking of anomalous diffusion kinetics in polymer microspheres" Phys. Rev. Lett. 114, 118001 (2015). Abstract : In this article we propose use of whispering gallery mode resonance tracking as a label free optical means to monitor diffusion kinetics in glassy polymer microspheres. Approximate solutions to the governing diffusion equations are derived for the case of slow relaxation and small Stefan number. Transduction of physical changes in the polymer, including formation of a rubbery layer, swelling and dissolution, into detectable resonance shifts are described using a perturbative approach. Concrete examples of poly(methyl methacrylate) and polystyrene spheres in water are considered. "Optical tracking of anomalous diffusion kinetics in polymer microspheres"
Phys. Rev. Lett. 114, 118001 (2015). M. R. Foreman, J. D. Swaim and F. Vollmer, "Whispering gallery mode sensors" Adv. Opt. Phot. 7, 168-240 (2015). Abstract : We present a comprehensive overview of sensor technology exploiting optical whispering gallery mode (WGM) resonances. After a short introduction, we begin by detailing the fundamental principles and theory of WGMs in optical microcavities and the transduction mechanisms frequently employed for sensing purposes. Key recent theoretical contributions to the modelling and analysis of WGM systems are highlighted. Subsequently we review the state of the art of WGM sensors, by outlining efforts made to-date to improve current detection limits. Proposals in this vein are numerous and range, for example, from plasmonic enhancements and active cavities, through to hybrid optomechanical sensors which are already working in the shot noise limited regime. In parallel to furthering WGM sensitivity, efforts to improve the time resolution are beginning to emerge. We therefore summarise the techniques being pursued in this vein. Ultimately, WGM sensors aim for real-world applications, such as measurements of force and temperature, or alternatively gas and bio-sensing. Each such application is thus reviewed in turn and important achievements discussed. Finally, we adopt a more forward-looking perspective and discuss the outlook of WGM sensors within both a physical and biological context, and consider how they may yet push the detection envelope further. Adv. Opt. Phot. 7, 168-240 (2015). 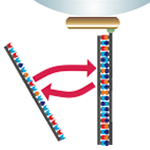 M. D. Baaske, M. R. Foreman and F. Vollmer, "Single-molecule nucleic acid interactions monitored on a label-free microcavity biosensor platform" Nature Nanotech. 9, 933-939 (2014). Abstract : Biosensing relies on the detection of molecules and their specific interactions. It is therefore highly desirable to develop transducers exhibiting ultimate detection limits. Microcavities are an exemplary candidate technology for demonstrating such a capability in the optical domain and in a label-free fashion. Additional sensitivity gains, achievable by exploiting plasmon resonances, promise biosensing down to the single-molecule level. Here, we introduce a biosensing platform using optical microcavity-based sensors that exhibits single-molecule sensitivity and is selective to specific single binding events. 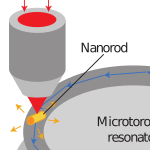 Whispering gallery modes in glass microspheres are used to leverage plasmonic enhancements in gold nanorods for the specific detection of nucleic acid hybridization, down to single 8-mer oligonucleotides. Detection of single intercalating small molecules confirms the observation of single-molecule hybridization. Matched and mismatched strands are discriminated by their interaction kinetics. Our platform allows us to monitor specific molecular interactions transiently, hence mitigating the need for high binding affinity and avoiding permanent binding of target molecules to the receptors. Sensor lifetime is therefore increased, allowing interaction kinetics to be statistically analysed. "Single-molecule nucleic acid interactions monitored on a label-free microcavity biosensor platform"
Nature Nanotech. 9, 933-939 (2014). Y. Sonnefraud, H. G. Sinclair, Y. Sivan, M. R. Foreman, C. Dunsby, M. A. A. Neil, P. M. W. French and S. A. Maier, "Experimental proof of concept of nanoparticle assisted STED" Nano. Lett. 14, 4449-4453 (2014). Abstract : We image core-shell nanoparticles, consisting of a dye-doped silica core covered with a layer of gold, with a STED-FLIM microscope. Due to the field enhancement provided by the localised surface plasmon resonance of the gold shell, we demonstrate a reduction of the STED depletion power required to obtain resolution improvement by a factor of four. 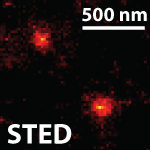 This validates the concept of nanoparticle-assisted STED (NP-STED), where hybrid dye-plasmonic nanoparticles are used as labels for STED in order to decrease the depletion powers required for sub-wavelength imaging. "Experimental proof of concept of nanoparticle assisted STED"
Nano. Lett. 14, 4449-4453 (2014). M. R. Foreman, S. Avino, R. Zullo, H.-P. Loock, F. Vollmer and G. Gagliardi, "Enhanced nanoparticle detection with liquid droplet resonators" Eur. Phys. J. Spec. Top. 223, 1971-1988 (2014). Abstract : Whispering gallery mode particle sensing experiments are commonly performed with solid resonators, whereby the sensing volume is limited to the weak evanescent tail of the mode near the resonator surface. In this work we discuss in detail the sensitivity enhancements achievable in liquid droplet resonators wherein the stronger internal fields and convenient means of particle delivery can be exploited. Asymptotic formulae are derived for the relative resonance shift, line broadening and mode splitting of TE and TM modes in liquid droplet resonators. As a corollary the relative fraction of internal and external mode energy follows, which is shown to govern achievable sensitivity enhancements of solute concentration measurements in droplet sensors. Experimental measurements of nanoparticle concentration based on whispering gallery mode resonance broadening are also presented. "Enhanced nanoparticle detection with liquid droplet resonators"
Eur. Phys. J. Spec. Top. 223, 1971-1988 (2014). C. Macías-Romero, M. R. Foreman, P. R. T. Munro and P. Török, "Confocal polarization imaging in high numerical aperture space" Opt. Lett. 39, 2322-2325 (2014). Abstract : In this work we describe theoretical and experimental physical aspects of high resolution imaging polarimetry and its application to polarization--multiplexed encoding. We theoretically demonstrate that it is possible to resolve the orientation of two fixed dipole-like emitters placed significantly below the resolution limit if their emission is uncorrelated. Furthermore, we experimentally demonstrate this phenomenon by illuminating closely spaced asymmetric nanopits with unpolarized light and subsequently determining their individual orientation and position from the measured spatial distributions of the azimuth angle of the polarization and degree of polarization, respectively. Reduction of the optical resolution of the imaging system is also shown to only weakly affect resolution obtainable via polarization measurements. "Confocal polarization imaging in high numerical aperture space"
Opt. Lett. 39, 2322-2325 (2014). M. R. Foreman, W.-L. Jin and F. Vollmer, "Optimizing detection limits in whispering gallery mode biosensing" Opt. Express 22, 5491-5511 (2014). Abstract : A theoretical analysis of detection limits in swept-frequency whispering gallery mode biosensing modalities is presented based on application of the Cramér-Rao lower bound. 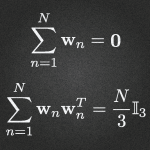 Measurement acuity factors are derived assuming the presence of uncolored and 1/f Gaussian technical noise. Frequency fluctuations, for example arising from laser jitter or thermorefractive noise, are also considered. Determination of acuity factors for arbitrary colored noise by means of the asymptotic Fisher information matrix is highlighted. Quantification and comparison of detection sensitivity for both resonance shift and broadening sensing modalities are subsequently given. Optimal cavity and coupling geometries are furthermore identified, whereby it is found that slightly under-coupled cavities outperform critically and over coupled ones. "Optimizing detection limits in whispering gallery mode biosensing"
Opt. Express 22, 5491-5511 (2014). N. Mazumder, C.-W. Hu, J. Qiu, M. R. Foreman, C. Macías-Romero, P. Török and F.-J. Kao, "Revealing molecular structure and orientation with Stokes vector resolved second harmonic generation microscopy" Methods 66, 237-245 (2014). Abstract : We report on measurements and characterization of polarization properties of Second Harmonic (SH) signals using a four-channel photon counting based Stokes polarimeter. In this way, the critical polarization parameters can be obtained concurrently without the need for repeated image acquisition. The critical polarization parameters, including the degree of polarization (DOP), the degree of linear polarization (DOLP), and the degree of circular polarization (DOCP), are extracted from the reconstructed Stokes vector based SH images in a pixel-by-pixel manner. The measurements are further extended by varying the polarization states of the incident light and recording the resulting Stokes parameters of the SH signal. In turn this allows the molecular structure and orientation of the samples to be determined. Use of Stokes polarimetry is critical in determination of the full polarization state of light, and enables discrimination of material properites not possible with conventional crossed-polarized detection schemes. The combination of SHG microscopy and Stokes polarimeter hence makes a powerful tool to investigate the structural order of targeted specimens. "Revealing molecular structure and orientation with Stokes vector resolved second harmonic generation microscopy"
G. Antonacci, M. R. Foreman, C. Paterson and P. Török, "Spectral broadening in Brillouin imaging" Appl. Phys. Lett. 103, 221105 (2013). Abstract : Brillouin microscopy is an emerging imaging modality that provides fundamental information about mechanical properties of media in a non-contact manner. To date, low numerical aperture (NA) optics have been used, due to noticeable angular broadening of the Brillouin spectrum at higher NAs. In this work, we theoretically and experimentally analyse the dependence of spectral broadening effects in Brillouin imaging systems on system NA, for both 90° and 180° scattering geometries. Lineshape deformations and broadening are found to be minimised in a backscattering geometry, hence paving the way for high resolution in-vivo mechanical imaging. "Spectral broadening in Brillouin imaging"
Appl. Phys. Lett. 103, 221105 (2013). M. R. Foreman and F. Vollmer, "Level repulsion in hybrid photonic-plasmonic microresonators for enhanced biodetection" Phys. Rev. A 88, 023831 (2013). Abstract : We theoretically analyse photonic-plasmonic coupling between a high Q whispering gallery mode (WGM) resonator and a core-shell nanoparticle. Blue and red shifts of WGM resonances are shown to arise from crossing of the photonic and plasmonic modes. Level repulsion in the hybrid system is further seen to enable sensitivity enhancements in WGM sensors: maximal when the two resonators are detuned by half the plasmon linewidth. Approximate bounds are given to quantify possible enhancements. Criteria for reactive vs. resistive coupling are also established. "Level repulsion in hybrid photonic-plasmonic microresonators for enhanced biodetection"
Phys. Rev. A 88, 023831 (2013). M. R. Foreman and F. Vollmer, "Theory of resonance shifts of whispering gallery modes by arbitrary plasmonic nanoparticles" New J. Phys. 15, 083006 (2013). Abstract : Shifts of the resonance frequency of high Q whispering gallery modes (WGMs) in spherical dielectric microresonators by plasmonic nanoparticles can be greater than the WGM line width, such that the perturbation theory commonly used for describing resonance shifts by dielectric nanoparticles [I. Teraoka and S. Arnold, J. Opt. Soc. Am. B 23, 1381 (2006)] is no longer applicable. This article therefore reports on an analytic framework, based on generalised Lorenz-Mie theory, capable of describing resonance shifts by metallic NPs supporting plasmon oscillations. Generalisation to nanoparticles of arbitrary geometry is presented by employing the extended boundary condition method. Within this framework, hybrid resonance conditions for coupled spherical photonic and plasmonic resonators are established and shown to simplify for small plasmonic nanoparticles. Approximate analytic formulae are derived for the shift and broadening of the isolated WGM and plasmon resonances, from which either apparent resonance shifts or mode splitting are shown to follow. Tuning of plasmon resonances using, for example, core-shell nanoparticles to attain a large spectral overlap between WGM and plasmon resonances is demonstrated to significantly enhance the magnitude of resonance shifts, with a 60-fold enhancement achieved without any optimisation. Hybridisation of photonic-plasmonic resonances is furthermore demonstrated (in addition to hybridisation of TE-TM WGMs) and the associated level repulsion illustrated. Finally, the dependence of WGM resonance shifts on the orientation of silver nanorods, is theoretically investigated and found to be strong by virtue of the asymmetry of the nanorod. "Theory of resonance shifts of whispering gallery modes by arbitrary plasmonic nanoparticles"
New J. Phys. 15, 083006 (2013). M. R. Foreman, C. L. Giusca, P. Török and R. K. Leach, "Phase-retrieved pupil function and coherent transfer function in confocal microscopy" J. Microsc. 251, 99-107 (2013). Abstract : This work reports on the retrieval of the pupil function and coherent transfer function (CTF) of a coherent reflection type confocal microscope from simulated measurements of the intensity point spread function. Two phase retrieval algorithms are presented in this vein, which incorporate the multiple pupil dependance of image formation in confocal microscopy. Verification of the algorithms follows by numerical simulations. "Phase-retrieved pupil function and coherent transfer function in confocal microscopy"
J. Microsc. 251, 99-107 (2013). M. R. Foreman, C. L. Giusca, J. M. Coupland, P. Török and R. K. Leach, "Determination of the transfer function for optical surface topography measuring instruments - a review" Meas. Sci. Technol 24, 052001 (2013). Abstract : A significant number of areal surface topography measuring instruments, largely based on optical techniques, are commercially available. However, implementation of optical instrumentation into production is currently difficult due to the lack of understanding of the complex interaction between the light and the component surface. 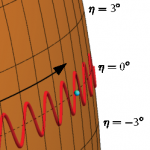 Studying the optical transfer function of the instrument can help address this issue. Here a review is given on techniques for the measurement of optical transfer functions. Starting from the basis of a spatially coherent, monochromatic confocal scanning imaging system, the theory of optical transfer functions in three dimensional (3D) imaging is presented. Further generalisations are reviewed allowing extension of the theory to the description of conventional and interferometric 3D imaging systems. Polychromatic transfer functions and surface topography measurements are also discussed. Following presentation of theoretical results, experimental methods to measure the optical transfer function of each class of system are presented, with a focus on suitable methods for establishment of calibration standards in 3D imaging and surface topography measurements. "Determination of the transfer function for optical surface topography measuring instruments - a review"
Meas. Sci. Technol 24, 052001 (2013). N. Mazumder, J. Qiu, M. R. Foreman, C. Macías-Romero, P. Török and F.-J. Kao, "Stokes vector based polarization resolved second harmonic microscopy of starch granules" Biomed. Opt. Express 4, 538-547 (2013). Abstract : We report on the measurement and analysis of the polarization state of second harmonic signals generated by starch granules, using a four-channel photon counting based Stokes-polarimeter. Various polarization parameters, such as the degree of polarization (DOP), the degree of linear polarization (DOLP), the degree of circular polarization (DOCP), and anisotropy are extracted from the 2D second harmonic Stokes images of starch granules. 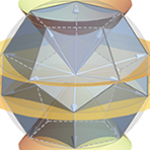 The concentric shell structure of a starch granule forms a natural photonic crystal structure. By integration over all the solid angle, it will allow very similar SHG quantum efficiency regardless of the angle or the states of incident polarization. Given type I phase matching and the concentric shell structure of a starch granule, one can easily infer the polarization states of the input beam from the resulting SH micrograph. "Stokes vector based polarization resolved second harmonic microscopy of starch granules"
Biomed. Opt. Express 4, 538-547 (2013). M. R. Foreman, Y. Sivan, S. A. Maier and P. Török, "Independence of plasmonic near-field enhancements to illumination beam profile" Phys. Rev. B 86, 155441 (2012). Abstract : Near-field enhancements of the electric field at the centre of spheroidal multi-layer metallic nanoparticles (NPs) are investigated when illuminated by focused beams of arbitrary field structure i.e. amplitude, phase and polarisation distributions. Employing a Mie-type representation, the enhancement at the centre of such NPs (such as a core-shell geometry), is analytically shown to be independent of the field structure of the illumination beam for both on- and off-axis NPs. Furthermore, it is shown that, to leading order, the average field enhancement in the near-field of these NPs is also approximately illumination independent. "Independence of plasmonic near-field enhancements to illumination beam profile"
Phys. Rev. B 86, 155441 (2012). M. R. Foreman, Informational limits in optical polarimetry and vectorial imaging (Springer, 2012). Abstract : Central to this thesis is the characterisation and exploitation of the opportunities afforded by the electromagnetic (i.e. vectorial) nature of light. To this end the work follows three running themes: quantification of polarisation information; formulation of simple propagation tools for electromagnetic waves; and development of specific polarisation based optical systems. N. Mazumder, J. Qiu, M. R. Foreman, C. Macías-Romero, C. Hu, H. Tsai, P. Török and F.-J. Kao, "Polarization-resolved second harmonic generation microscopy with a four-channel Stokes-polarimeter" Opt. Express 20, 14090-14099 (2012). Abstract : We developed a four-channel photon counting based Stokes-polarimeter for spatial characterization of polarization effects in second harmonic generation (SHG). We have implemented a calibration technique allowing quantitative measurement of polarization parameters, such as the degree of polarization (DOP), degree of linear polarization (DOLP), degree of circular polarization (DOCP), as well as anisotropy from the acquired Stokes parameters. The technique is used as contrast mechanism to characterize the polarization properties from two potassium dihydrogen phosphate (KDP) micro-crystals and collagen type-I in SHG microscopy. "Polarization-resolved second harmonic generation microscopy with a four-channel Stokes-polarimeter"
Opt. Express 20, 14090-14099 (2012). C. Macías-Romero, M. R. Foreman and P. Török, "Spatial and temporal variations in vector fields" Opt. Express 19, 25077-25083 (2011). Abstract : We introduce a new metric to characterise spatial variations occurring in a time varying vector field, and we derive a rotationally invariant formula that quantifies temporal fluctuations within a consistent framework. So as to highlight the physics behind these metrics, both are derived from a well-known experiment in polarimetry. The derivation yields a set of expressions in a two-dimensional space, which is subsequently expanded to n-dimensions for special cases. The resulting expressions of the temporal and spatial metrics are incorporated into the electromagnetic theory of coherence and polarisation. Examples are given in the context of single molecule detection when measuring asymmetrically and radially polarised beams. "Spatial and temporal variations in vector fields"
Opt. Express 19, 25077-25083 (2011). M. R. Foreman and P. Török, "Fundamental limits in single molecule orientation measurements" New J. Phys. 13, 093013 (2011). Abstract : Directionality inherent in the polarization of light affords the means of performing robust dynamic orientational measurements of molecules and asymmetric scatterers. In this paper, the precision with which measurements of this kind can be made is quantified for a number of common polarization-based measurement architectures using a metric derived from Fisher information. Specifically, a fundamental limit of 0.5 radian per detected photon (on average) is found, thus highlighting the importance of maximizing photon numbers by correct fluorophore selection. Informational dips, whereby measurement precision is degraded, are shown to arise in many realistic measurement scenarios, particularly for inference from null readings. The severity of these precision losses is therefore considered, and it is shown to decrease with increased system redundancy. Contamination of measured data from coherently and incoherently radiating extraneous sources, furthermore, causes a loss of precision. Analytic and numerical results are hence also presented in this vein. "Fundamental limits in single molecule orientation measurements"
New J. Phys. 13, 093013 (2011). M. R. Foreman and P. Török, "Spin-orbit coupling and conservation of angular momentum flux in non-paraxial imaging of forbidden radiation" New J. Phys. 13, 063041 (2011). Abstract : Rigorous, closed form expressions are derived for non-paraxial imaging of sources of multipole radiation from which conservation of angular momentum (AM) flux is established. Coupling of spin and orbital optical AM flux is also quantitatively investigated, highlighting the importance of spin-orbit interactions in high numerical aperture imaging. "Spin-orbit coupling and conservation of angular momentum flux in non-paraxial imaging of forbidden radiation"
New J. Phys. 13, 063041 (2011). C. Macías-Romero, R. Lim, M. R. Foreman and P. Török, "Synthesis of structured partially spatially coherent beams" Opt. Lett. 36, 1638-1640 (2011). Abstract : We report on the generation and rapid characterization of structured beams of arbitrary spatial coherence. An experimental setup is introduced capable of generating partially coherent fields by incoherently superposing fully coherent fields. The characterization is performed using the spectral information in the interferogram produced when using a two-dimensional nonredundant array of pinholes. An example of a partially coherent "doughnut" beam is given and proved to be partially coherent. "Synthesis of structured partially spatially coherent beams"
Opt. Lett. 36, 1638-1640 (2011). 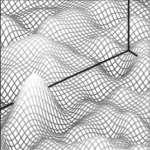 M. R. Foreman and P. Török, "Computational methods in vectorial imaging" J. Mod. Opt. 58, 339-364 (2011). Abstract : In the search for higher resolution, modern day imaging systems frequently employ objective lenses with a high numerical aperture. Propagation of light through such lenses introduces a spatial variation in the polarisation across the beam profile, whilst the inherently large propagation angles also necessitates inclusion of additional transverse and axial electric field components in modelling. A full treatment of polarisation effects including such considerations has implications at all stages in the image formation process, namely; illumination, scattering from the sample, imaging and detection. This tutorial review considers each stage in turn and details the theories required for rigorous modelling and analysis. In particular a generalisation of the well known Jones calculus and ray tracing methods are shown to conveniently and accurately allow rigorous studies of high numerical aperture confocal and conventional polarised light microscopes, imaging samples of arbitrary complexity. Generalisation of the illumination to partially coherent, partially polarised systems is also briefly given. Whilst rigorous modelling techniques can prove time consuming a number of simplifications and approximations can be adopted, allowing computational gains to be achieved. Discussion in this vein is hence also presented. "Computational methods in vectorial imaging"
J. Mod. Opt. 58, 339-364 (2011). T. Dellwig, M. R. Foreman and F.-J. Kao, "Coherent long-distance signal detection using stimulated emission: a feasibility study" Chinese J. Phys. 48, 873-884 (2010). Abstract : Stimulated emission based imaging techniques, especially stimulated emission microscopy, are well established and well documented techniques in the realm of biomedical applications. The utilization of a stimulated emission signal offers a variety of advantages over classical linear optical imaging, especially for the identification of biological specimens with high spa- tial resolution in three dimensions. There is, however, one aspect of the inherent properties of stimulated emission that so far has not received much attention and has not been utilized to its full potential. This aspect, namely the spatial coherence of the stimulated emission signal with the incoming stimulation light, can be utilized for long-distance signal detection of biomedical specimens. The feasibility of this approach is presented here. "Coherent long-distance signal detection using stimulated emission: a feasibility study"
Chinese J. Phys. 48, 873-884 (2010). M. R. Foreman and P. Török, "Information and resolution in electromagnetic optical systems" Phys. Rev. A 82, 043835 (2010). Abstract : Quantitative analysis can play a vital role in a number of polarization-based optical systems, yet to date no definition regarding resolution in the polarization domain exists. By adopting a stochastic framework, a suitable metric is developed in this article, allowing a number of polarimetric systems to be assessed and compared. In so doing, the performance dependencies of polarization-based systems are demonstrated and fundamental trends are identified. "Information and resolution in electromagnetic optical systems"
Phys. Rev. A 82, 043835 (2010). M. R. Foreman and P. Török, "Focusing of inhomogenous partially coherent, partially polarised electromagnetic fields" J. Opt. Soc. Am. A 26, 2470-2479 (2009). Abstract : We report a general framework capable of describing the focusing of electromagnetic waves with spatially varying coherence and polarization properties in optical systems of arbitrary numerical aperture and Fresnel number. We also investigate the reduction of the dimensionality of the requisite integrals by use of a coherent mode expansion. We find that coherent mode expansions treating each component of the electric field vector individually are unsuitable for describing focusing systems because of the inter-component mixing that can occur in high numerical aperture systems. In addition, we show that the assumption of harmonic angular dependence allows the azimuthal integration to be performed analytically, providing further simplification of the analysis. We also find that the effective degree of spectral coherence of an electromagnetic beam is unchanged upon focusing. Finally, as an illustration of the developed framework, we calculate the transverse and axial focal distributions for a partially coherent source formed by incoherent superposition of radially and azimuthally polarized Laguerre-Gauss modes. "Focusing of inhomogenous partially coherent, partially polarised electromagnetic fields"
J. Opt. Soc. Am. A 26, 2470-2479 (2009). M. R. Foreman, C. Macías-Romero and P. Török, "A priori information and optimisation in polarimetry" Opt. Express 16, 15212-15227 (2008). Abstract : Polarimetric measurements are designed to obtain information pertaining to the system under study, however noise in the system limits the precision and hence information obtainable. Exploitation of a priori knowledge of the system allows for an improvement in the precision of experimental data. In this vein we present a framework for system design and optimisation based upon the Fisher information matrix, which allows easy incorporation of such a priori information. As such the proposed figure of merit is more complete than the commonly used condition number. Conditions of equivalence are considered, however a number of examples highlight the failings of the condition number under more general scenarios. Bounds on the achievable informational gains via multiple polarimeter arms are also given. Finally we present analytic results concerning error distribution in a Mueller matrix polar decomposition, allowing for a more accurate noise analysis in polarimetric experiments. "A priori information and optimisation in polarimetry"
Opt. Express 16, 15212-15227 (2008). M. R. Foreman, C. Macías-Romero and P. Török, "Determination of the three dimensional orientation of single molecules" Opt. Lett. 33, 1020-1022 (2008). Abstract : A simple method for real-time determination of the full three-dimensional orientation of the emission dipole of single molecules is presented. 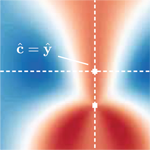 Introduction of a π phase step in the back focal plane of the collector lens breaks the inherent symmetry, allowing the longitudinal dipole component to be measured. Experimental tolerances and the consequence of a nonzero bandwidth emission spectrum are also discussed. The scheme also allows for the longitudinal component of an electric field to be found experimentally. "Determination of the three dimensional orientation of single molecules"
Opt. Lett. 33, 1020-1022 (2008). M. R. Foreman, S. S. Sherif, P. R. T. Munro and P. Török, "Inversion of the Debye-Wolf diffraction integral using an eigenfunction representation of the electric fields in the focal region" Opt. Express 16, 4901-4917 (2008). Abstract : The forward problem of focusing light using a high numerical aperture lens can be described using the Debye-Wolf integral, however a solution to the inverse problem does not currently exist. In this work an inversion formula based on an eigenfunction representation is derived and presented which allows a field distribution in a plane in the focal region to be specified and the appropriate pupil plane distribution to be calculated. Various additional considerations constrain the inversion to ensure physicality and practicality of the results and these are also discussed. A number of inversion examples are given. "Inversion of the Debye-Wolf diffraction integral using an eigenfunction representation of the electric fields in the focal region"
Opt. Express 16, 4901-4917 (2008). S. S. Sherif, M. R. Foreman and P. Török, "Eigenfunction expansion of the electric fields in the focal region of a high numerical aperture focusing system" Opt. Express 16, 3397-3407 (2008). Abstract : The Debye-Wolf electromagnetic diffraction integral is now routinely used to describe focusing by high numerical (NA) lenses. We obtain an eigenfunction expansion of the electric vector field in the focal region in terms of Bessel and generalized prolate spheroidal functions. Our representation has many optimal and desirable properties which offer considerable simplification to the evaluation and analysis of the Debye-Wolf integral. It is potentially also useful in implementing two-dimensional apodization techniques to synthesize electromagnetic field distributions in the focal region of a high NA lenses. Our work is applicable to many areas, such as optical microscopy, optical data storage and lithography. "Eigenfunction expansion of the electric fields in the focal region of a high numerical aperture focusing system"
Opt. Express 16, 3397-3407 (2008). M. R. Foreman, S. S. Sherif and P. Török, "Photon statistics in single molecule orientational imaging" Opt. Express 15, 13597-13606 (2007). Abstract : Optical techniques in single molecule imaging rely heavily on photon counting for data acquisition. Extraction of information from the recorded readings is often done by means of statistical signal processing, however this requires a full knowledge of the photoelectron statistics. In addition to counting statistics we include a specific form of random signal variations namely reorientational dynamics, or wobble to derive the general probability density function of the number of detected photons. The relative importance of the two factors is dependent upon the total number of photons in the system and results are given in all regimes. "Photon statistics in single molecule orientational imaging"
Opt. Express 15, 13597-13606 (2007). Errata : A list of known minor errors and typographical mistakes in published works can be found here.